Editors’ note [from Window Quarterly]: George Florovsky (1892-1979) is one of the most eminent Russian theologians of this century. The son of a Russian priest, he graduated in arts at Odessa University (1916), subsequently lecturing there in philosophy (1919-20). Leaving Russia in 1920, he went first to Sofia and then to Prague, where he was made lecturer in the faculty of law (1922-26). In 1926 he became Professor of Patristics at the Orthodox Theological Institute in Paris, and later Professor of Dogmatics. He was ordained priest in 1932. Moving to the U.S.A in 1948, he became successively Professor and Dean at St. Vladimir’s Orthodox Theological Seminary, New York (1948-55). Professor of Eastern Church History at Harvard Divinity School (1956-64), and Visiting Professor at Princeton University. He has written extensively on the Greek Fathers (mainly in Russian), urging the necessity for a “neo-patristic synthesis.” He has played a leading part in the Ecumenical Movement, starting in the 1930’s and has served regularly as delegate at assemblies of the Faith and Order Commission of the World Council of Churches. His Collected Works have been published in ten volumes. A viable and faithful model of Orthodox ecclesiology is that provided by the main representative of the Traditionalist current of the “Paris School” of Russian theology, Georges Florovsky (1892-1979). Florovsky’s theological pilgrimage was not one of creative speculation, but of a discovery of the “code”[1. Cf. The Byzantine Fathers of the Sixth to Eighth Century, CW IX, p. 256, where Florovsky construes the thinking of St. John of Damascus as a “code.”] underlying the “ecclesial mind” expressed in the Church’s literary classics, iconography and liturgy. Florovsky presented the theological content of his “neo-patristic” synthesis within the all-encompassing ecclesial framework which he regarded as the necessary vantage point for all theology. 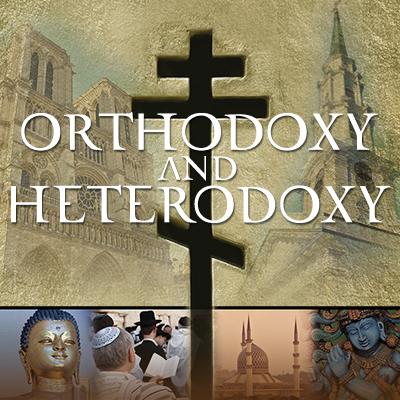 Florovsky’s own view that the patristic tradition was a synthesis without contradiction raises some problems which are beyond the scope of this article. It was the rediscovery of a coherent vision of history that Florovsky encouraged, not an initiative toward fresh speculative theologoumena [opinion]; the attempt at such rediscovery is foundational to his neo-patristic scheme. Inasmuch as it is the Israel of God, the Church testifies continually in its inheritance of faith and its path of pilgrimage that God is none other than the Creator of the universe and Lord of history, the God of Abraham and Father of Jesus Christ, Who yet hovers over His creation as Spirit. For Florovsky the primary meaning of faith is trust, the sense of God and His will, and the working-out of His intention in history, where He has acted upon, and through, His people, the Church. Florovsky believed that the Triune confession–the testimony and knowledge of the Church as predicated upon its experience of the Covenant Holy One of Israel as God’s compassion in Jesus Christ and His Presence in the Spirit–given a basis for adequate voice and formulation in the language of the Church’s Tradition, is central to the Church’s discussion of God’s relation to the world. God has identified Himself to the Church as Triune. For Florovsky catholicity, askesis (self-denial) and the Triune identity, or Trinity, are linked in an ecclesial exposition of personality, self, and ego, all key ingredients in a radical, ecclesial modification of human self-consciousness. When the Church speaks of God, it tells of the Father Who created it and gave it life, the Son Who redeemed it, and the Spirit Who empowers it. God and the Church face and hear each other as a multiplicity of persons, by definition distinct, bound together in the loving communion of Redeemer and redeemed. Christians experience the Personal reality of God in the activity of the Trinity. represented in the person of Mary, who, in her free, affirmative, and active response to the Spirit’s invitation of grace, achieved the sense of God. The Annunciation, Conception, and Incarnation not only show humanity deified; these events also manifested God’s longing and intention to become human. Florovsky stressed Christ’s assumption of human nature, and the Incarnation, as the ultimate initiatives of grace and healing on God’s part. According to Florovsky the distinction and relationship between Christ’s human and divine natures–defined by Chalcedon–was in fact necessary for the Incarnation, and is the norm governing the totality of human life. The Truth–not an abstract idea, but a Person–was given Word by becoming man. “The Bible,” Florovsky wrote, “can never be, as it were, ‘algebraized.’ Names can never be replaced by symbols. There was a dealing of the Personal God with human persons. And this dealing culminated in the Person of Christ Jesus…”[7. ibid., p. 59] Jesus was His own Scripture. Love is the force motivating salvation, and its purpose and display are the Cross, sacrament of love par excellence. It is this sacrament and sacrifice which are the divine call and vocation heard in the Church, the unity of all believers in catholicity and grace. Through the Church, the home of the synthetic code, Christ summons humankind by grace into the path of eschatological tension and self-denial. The disciple is “ingodded” through the sacraments, and as a consequence, is led to understand the fullness of Christ’s mind in His Church, in the continuity of the Spirit’s gracious help. 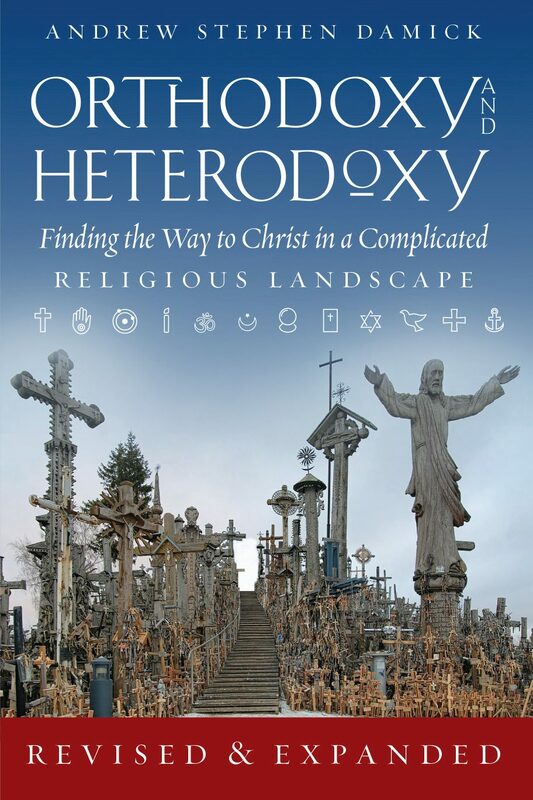 Florovsky’s consideration of ecclesial anthropology leads through his concept of catholicity to an assertion of the sacramental vocation and transformation of humanity. The path of eschatological dynamism is precisely that of the Church’s sacramental life, a life infusing and supporting the community of faith during her journey between the beginning and end of time. in the Church. This habit forms, in the Church’s renewing deposit of the charisma veritatis (grace of truth), a “sacramental community” enchristing and anointing all who bear Jesus’ title as a name, Christians, in history, for all time. Grace is hypostasized and realized in the visible words, the “logoi,” of the sacraments, God’s very own, sealed energies. The Church is God’s teleological vision and command, and as God eternally contemplated the image of the world, so with good enjoyment does He intend the transformation of image into the likeness of new life in grace in His Church. In this mystery of sacramental catholicity, the Church expresses her vision of the mystical conquest of time and the transformation of history. Hearing the Word of God in the Church’s sacramental conversation, we are raised into the hope and pilgrimage of Pentecost. Abbreviations: “CW (I-X)” refers to The Collected Works of Georges Florovsky (Vaduz, Liechtenstein, l987), Volumes I-X, ed. R.S. Haugh. Fr. Florovsky’s view on this particular issue is the view of the Saints. One must either accept this view in faith or purify oneself so as to receive the grace to behold it for oneself. Being a former professor of Dogmatic Theology, I would like to know if he ever produced a summary of the Churches dogmatic theology for the layman. I have asked several priest for this, and have not received a satisfactory answer. There must be a better answer than go to seminary and find out. Line 9 of the second paragraph should probably read: “Church as the Whole Christ, Head and Body” — although the error is in the source page that you link. Thank you for such a thorough and informative article. This one will take a few reads to grasp fully! What do you mean by “eschatological tension”? My mistake – I missed that this was written by Dr. Lewis Shaw!